PPMP Central is a comprehensive tutorial containing guides suited for beginners to advanced PPMP users and also includes documentation for I.T. Technicians. Install/Move/Backup PPMP General IT Documentation for PPMP installations, migrations, setting up backups. All information for IT Technicians will be in here. Please contact PPMP for cloud installations. Emailing Invoices/Receipts Email your Invoices & Receipts directly via PPMP to your patients. SMS Sending SMS reminders individually or in bulk to your patients. SMS service automatically draws patient data such as Clients first name, treating practitioner, appointment time etc. into the SMS. DVA Setting up your staff & charges for DVA via PPMP, Lodging DVA claims to medicare directly from PPMP and retrieving the claims to then automatically update your clients payment. Medicare Online Setting up your staff & charges for EPC - Bulk billing (or PCI) & sending to medicare through PPMP. Workcover QLD Guide to registering with Queensland WorkCover & setting up your PPMP to directly submit your WorkCover QLD claims. HICAPS Synchronizing your HICAPS Terminal with your PPMP and processing payments. Tyro Synchronizing your Tyro Terminal with your PPMP and processing payments. Physitrack Integration Connect your Physitrack to your PPMP and create personal exercise programs for your patients. Install PDF Viewer How to install and set the default PDF Viewer program on your local PC to view PDF files. LanternPay TAC claiming setup & use guide. 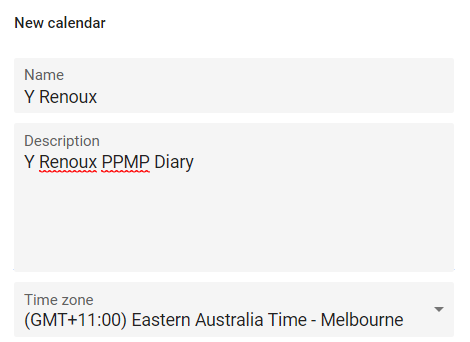 Google Calendar Syncing PPMP Bookings into your Google Calendar. Report Finder Find the report you are after with a description of all the PPMP reports. Select only one PC located at the practice to be the PPMP server, all other PCs will only require a PPMP workstation installation. Your PPMP server must be switched on in order for PPMP workstations to connect to. Step 1: Download the PPMPSetup.exe, right click and run as administrator. Step 2: Go through the installation process and select "Full installation" & "Complete" when prompted. If the folder already exists then press Yes to install in that folder anyway. Step 3: After the installation is complete, restart the PC and this will automatically initiate the SQL Server installation, go through the SQL server installation process. Step 4: Right click the windows start button on the bottom left corner and select Run > Type in: cliconfg and press OK. Step 5: Enable Named Pipes & TCP/IP and press OK to save. Step 6: Open up PPMP and enter the login details. You can do this by locating your ppmp folder > right click on it and go to properties > go to the sharing tab > press advanced sharing > tick share this folder > press ok.
You may need to first search the whole computer for the Microsoft word "winword.exe" program, location varies per Microsoft Word versions. PPMP is now ready to use. To connect other workstations please see installing PPMP workstation login details. Step 1: Ensure this PC is networked to your PPMP Server by your IT Technician. Step 2: Download the PPMPSetup.exe and run as administrator. Step 3: Go through the installation process and select "Workstation installation" & "Typical" when prompted. Step 6: After the installation is complete, open up PPMP with the login details below. PPMP is now ready to use on this computer as well as your server at the same time, all appointments will be synchronized instantly. Step 3: Press the button "Copy the backup file to another location" and save it to an external hard drive or USB. Step 5: You are now in the SQL server configuration manager, right click SQL Server (MSSQLSERVER) and press stop. Step 6: Right click SQL Server (MSSQLSERVER) again and go to properties > service > change start mode from automatic to disabled and press OK. Step 7: Transfer the backup .ZIP file from your hard drive to the desktop of your NEW SERVER. Step 8: Download the PPMPSetup.exe on your NEW SERVER and run as administrator. Step 9: Go through the installation process and select "Full installation" & "Complete" when prompted. Step 10: After the installation is complete, restart the PC and this will automatically initiate the SQL Server installation, go through the SQL server installation process. Step 11: Open up PPMP and enter the login details. Step 12: In the PPMP Main menu go to services > Restore backup ZIP file > Select your backup ZIP file on your desktop. Step 13: Select Restore Files & Press Restore Files. Step 14: Select Restore Database & Press Restore Database. Step 15: Restart PPMP and it is ready to use. Step 16: Right click the windows start button on the bottom left corner and select Run > Type in: cliconfg and press OK. Step 17: Enable Named Pipes & TCP/IP and press OK to save. Step 18: Go to your PPMP Folder and ensure it is shared to everybody across your local network. PPMP is now ready to use, you can connect other workstations to read this diary, please see installing PPMP workstation login details. Step 2: On your PPMP Main menu go to Setup > Computer Resource Usage > Backup options. Step 3: Enter the Final backup file destination path (This is where your default PPMP backups will be saved to). Please see Creating a PPMP backup to see how to create your daily backups. IMPORTANT: Ensure PPMP is on the latest version V before creating a backup. Step 2: Close PPMP - This will prompt the backup window to appear. Step 3: There are two options, you may select either one or both. Step 4: Press backup database. Your backup is now completed. Backups should be created EVERYDAY and we recommend keeping another backup on a USB or hard drive for emergencies. To avoid long backup times, please scan/attach your documents at a low resolution. You may need to contact your IT Technician to assist you with the setup of your scanning software. Restoring PPMP from a backup. First an installation of PPMP Server is required. Step 2: In the PPMP Main menu go to services > Restore backup ZIP file > Select your backup ZIP file on your desktop. Step 3: Select Restore Files & Press Restore Files. Step 4: Select Restore Database & Press Restore Database. Step 5: Restart PPMP and it is ready to use. IMPORTANT: PPMP Backup must be restored on the same version it was created on. Step 1: Fill out the SMS Registration form and fax/email to PPMP. Step 2: We will contact you once your SMS Service is ready and install it for you. While we setup your service, please read the SMS tutorials below. Step 1: Open your PPMP diary and go to SMS Apt Reminders tab > Send an SMS. Step 2: Type in the mobile number & message then press Send the Message. Step 1: Open your PPMP main menu and go to setup > SMS Template Setup. Step 2: Press Add New Template. Step 3: Press Add again. Step 6: Type in your message and double click on any merge fields on the right that you would like to enter in. Example of an SMS template: Hello <Client Firstname>. Just a friendly reminder that your appointment is at <Time> on <Date>. This will send an SMS to your client as: Hello John Smith. Just a friendly reminder that your appointment is at 9.00AM on 01/01/2016. Step 7: Press Save Template. Step 9: Select your template you just created. (SMS Reminder) and press Next Step. Send SMS Reminders: This option will send the SMS message immediately. Delayed Send Of Reminders: This option will allow you to select a date and time for the SMS to be sent out. Please note that once the SMS Reminders have been set to delay send, there is no way to stop the submission. Step 5: You can wait 10 minutes for the replies to come through or press Check for SMS Replies to force a retrieval of replies. Step 6: The SMS replies will be in red, select them to view the SMS message below. Step 7: Ticking the checkbox in the SMS Messages sent log will delete the reply. Example: If you receive a reply "I cannot attend" from a patient. You would go into the diary and delete the appointment then tick this checkbox to delete the reply so you know that it has been actioned. IMPORTANT: PPMP V required. Emailing functions will not work if the internal email system setup is incomplete. Step 1: In your PPMP main menu go to Setup > User Licence > View/Print Registration Details > Ensure all your business details are filled in & press Save. Step 2: Open your PPMP main menu and go to Setup > Internal Email System. Step 5: If you would like a copy of sent items to your email address, make sure the checkbox is ticked: Include a copy of email to this address? Step 6: Make sure the checkbox is ticked: Use PPMP Azure SMTP Server? Step 7: Press Save & Test. If you receive an error message during the test, please disable your firewall, antivirus, VPN or any firewalls within the router. You may need to contact your IT Technician to assist you with this. Step 2: Go into a clients A/C Info and select the payment entry line (credit). Step 4: Select your receipt layout and ensure email account is checked. Your receipt is now emailed as a PDF attachment to the client. Step 2: Select a client on the diary and press F11 to create a new invoice (Or go into the clients A/C info to view a previously made invoice to email and press view). Step 3: Select your account layout and ensure email account is checked. Your invoice is now emailed as a PDF attachment to the client. Step 1: In your PPMP Main menu go to Accounts > Print/Email Accounts. Step 2: Select the required fields (Including at least one payment method & an account layout) and press continue. Step 3: Press Email Accounts. This will email your outstanding invoices to all your clients which have an email address under their client file. If some clients do not have an email address, after you press Email Accounts button - Press Print Accounts button to print out the remainder invoices for clients that do not have an email address under their client file. IMPORTANT: The same clients will not appear again in the next account print run to avoid sending multiple invoices to your clients. Clients will only appear if treatment charged again. To get the DVA system working, you will need to complete the Medicare Online installation & DVA setup. Step 1: Fill out the Registration form and fax/email to PPMP. Step 2: Wait for PPMP to process the form and a receipt will be emailed to you along with a Minor ID. Please insert the disk into your PC and verify that it is the correct disk, there should be two distinct files on the installation disk fac_sign & fac_encrypt. If the disk does not contain these two files then it is the wrong disk and you will have to contact Medicare to send the correct disk. Step 4: PPMP Staff will install DVA onto your PPMP server on the booking date. While you wait - You may begin the DVA Setup below. Step 1: On your PPMP Main menu go to Setup > Fees & Charges Setup > Change the Standard Fees & Charges. Step 2: Under Payment Method, Select DVA. If you don't have this option then press setup to create this payment method: Setup > List Setup > Add > Type in: DVA > Press Save. Step 3: Once DVA payment method is selected, Press Add new to add a new standard charge and type the required fields below. Step 4: Press Save - Your standard charge is now setup. Step 5: On your PPMP Main menu go to Setup > Staff. 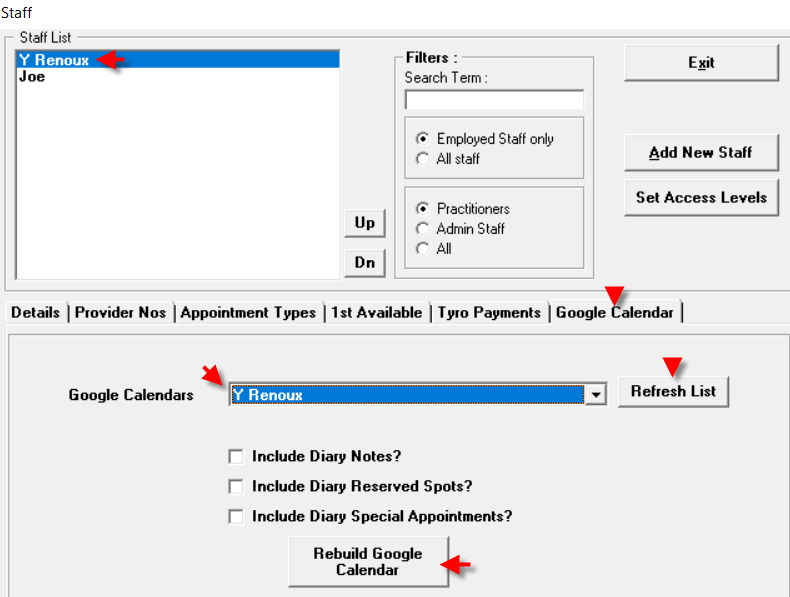 Step 6: Select your staff member and go to the provider nos tab. Step 7: Select the Payment Method: DVA & type the required fields below. Step 10: Under "Medicare DVA use ONLY!" - Enter in the Suburb, Postcode & Veteran Affairs Number. Step 11: The client details is now setup. This setup will need to be done for all your DVA clients. Step 12: On your PPMP Main menu go to setup > User license > View Registration Details and make sure all details are entered in and press Save. DVA Setup is now complete - You can now process a DVA patient. Step 1: Treatment Charge the client on your diary. Step 2: The charge window will now appear - Select your consultation created under the payment method: DVA. Step 3: Press Accept + Pay. Step 4: Fill in the paying field & Press the Medicare DVA Claim button. Step 5: Under Claims press Add. Step 6: Under Vouchers press Add. Step 7: Ensure all red asterisks fields * are filled in only. Step 8: Press Save & Go Back. Step 9: Press Submit Claim to Medicare. DVA has now been sent, please allow 1-3 business days for Medicare to process. If you have received an error, please check your DVA Setup as a required field by Medicare is missing. IMPORTANT: You must check if Medicare has paid your claims EVERYDAY. To do this go to your PPMP Main menu > Accounts > Transmit Medicare Online Claims > Press Retrieve/Payment Reports. This will check if your claims have been paid and update the paying fields in the client records automatically. Step 1: Go to the clients record and press the More Details tab. Step 3: Treatment Charge the client on your diary. Step 4: The charge window will now appear - Select your consultation created under the payment method: DVA. Step 5: Press Accept + Pay. Step 6: Fill in the paying field & Press the Medicare DVA Claim button. Step 7: Under Claims press Add. Step 8: Under Vouchers press Add. Step 9: Ensure all red asterisks fields * are filled. Tick the Referral Issue Date checkbox. Ensure the Referral Period is filled in. Ensure the Referral Provider number is filled in. Step 10: Press Save & Go Back. Step 11: Press Submit Claim to Medicare. Please note: Medicare do not pay the first 10KMs & In order to claim KM they must be attached under a consultation. The KM claim will be rejected if not attached under a consultation. Step 3: Press Accept + More. Step 6: Fill in the CONSULTATION paying field first & Press the Medicare DVA Claim button. Step 9: Ensure all red asterisks fields * are filled in only. Step 12: Fill in the TRAVEL paying field & Press the Medicare DVA Claim button. Step 14: Under services - Press Add. Step 15: Ensure the Item code: KM & Total Distance travelled is entered. Remove the charge amount. Step 16: Press Save & Go Back. Step 17: Press Submit Claim to Medicare. Bulk billing is when your health professional accepts the Medicare benefit as full payment for a service. Instead of completing a form, you can use Medicare Online to send patient claim information directly to us through a secure internet connection. Benefits are paid directly into the patient's nominated cheque or savings account, usually the next working day. If the claim information is sent using Medicare Easyclaim, patient benefits are paid directly into the patient's nominated cheque or savings account almost immediately. IMPORTANT: Please note a Medicare Online installation is required for Medicare Online to work. Step 1: In the PPMP Main menu go to Setup > Fees & Charges Setup > Change the Standard fees & charges. Step 2: Press Setup in the Payment Method. Step 3: Press List Setup. Step 5: Enter in the title: EPC - BB & Press Save & Exit. Step 6: Under Payment method, Select your new EPC - BB payment method. Step 8: Type in the details below for your new consultation and press save. Step 9: Press Save & Exit to the PPMP main menu. Step 10: Go to Setup > Staff. Step 11: Select your staff member and go to the provider Nos tab. Step 12: Go to Setup > Staff. Step 13: Select your payment method from the drop down list: EPC - BB & Enter in the required fields below. Step 16: Ensure the Medicare No field is filled in. Step 17: Press Medicare Verification. Step 18: Select Online Patient Verification & Press Submit (This will check that your PPMP client record matches Medicares client record - A Success message should appear). This should be done to all your Bulk Bill patients. Step 19: Treatment Charge the client. Step 20: Select the payment method EPC - BB & Select your Consultation that you have just created. Step 21: Press Accept + Pay. Step 22: Fill in the paying field and press Medicare Online. Step 23: Under Claims press Add. Step 24: Under Vouchers press Add. Step 25: Tick the checkbox: Include Referral/Request Details. Step 27: Press Save & Go Back. Step 28: Press Submit claim to Medicare - Your claim is now submitted. PCI - Patient Claims Interactive may be required if your practice charges more than Medicare fee for Item 10960. Once Medicare Online is successfully installed - You may use DVA and Medicare Online features through your PPMP. Step 5: Enter in the title: EPC - PCI & Press Save & Exit. Step 6: Under Payment method, Select your new EPC - PCI payment method. Step 13: Select your payment method from the drop down list: EPC - PCI & Enter in the required fields below. Step 20: Select the payment method EPC - PCI & Select your Consultation that you have just created. Step 22: Fill in the paying field and press Paying All. Step 23: Enter how the payment type amount according to how they paid and Press Accept But Don't Print. Step 24: Under Claims press Add. Step 25: Under Vouchers press Add. Step 26: Tick the checkbox: Account paid in full?. Step 27: Tick the checkbox: Include Referral/Request Details. Step 29: Press Save & Go Back. Step 30: Press Submit claim to Medicare - Your claim is now submitted. Please note: EPC - PCI claims will NOT show a processed date or payment date. Step 1: Register with Queensland WorkCover. Send an email to providers.providers@workcoverqld.com.au (include reference to ‘B2B’ in the subject line) to obtain a B2B username/password which you will need. 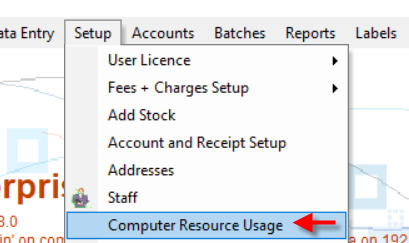 Step 2: Once you have received details from WorkCover go to Setup > Computer Resource Usage > Workcover tab. Step 4: Press Save and then Press Test API Connectivity. A success message: "The WorkCover API is up and running!" should appear. Step 5: In your PPMP Main menu > Setup > User Licence > View Registration Details and make sure all details are entered in and Press Save. Step 6: In your PPMP Main menu go to Setup > Fees + Charges Setup > Change the Standard Fees + Charges. Step 8: Once payment method is set to Workcover. Press Add New to create a new consultation and Press Save. Step 9: In the diary open the client record and then go to the WorkCover episode. Workcover QLD Setup is now complete - You must complete the WorkCover setup (Step 9 & onwards) for all WorkCover clients. Step 2: The charge window will now appear - Select your consultation created under the payment method: Workcover & ensure the Item Code is filled in. Step 1: In your PPMP Main menu go to Accounts > Transmit QLD WorkCover Accounts. Step 2: Select your Workcover payment method and treatment location (Default: Rooms) & Press Continue. Step 3: Click "Prepare and Send WorkCover File" once the list has been created. A success message should appear: "The batch was sent successfully to the WorkCover system!" Step 1: In your PPMP Main menu go to Batches > Batch Payment. Step 2: Select the Batch you wish to pay and fill in the paying fields. Step 3: Press Accept Don't Print. Workcover payment fields are now updated. Step 1: Ensure your HICAPS terminal is connected to your PC. Step 2: In your PPMP Main menu go to Setup > Computer Resource Usage > EFTPOS > Tick Use HICAPS & Selecting Printing Options: EFTPOS Terminal. Step 3: The HICAPS installation will now popup - go through the installation. If prompted, uninstall HICAPS. This will uninstall the old version and re-install the new version. Step 4: Ensure the HICAPS + symbol on the bottom right corner of your screen is yellow. If the symbol is red, you will need to contact HICAPS to fix this. Step 5: Restart PPMP and HICAPS will now synchronize with your PPMP. Step 1: In your PPMP Main menu go to Setup > Staff. 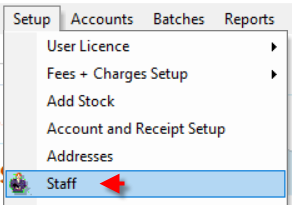 Step 2: Select your staff member and go to that staff members Provider Nos tab. Step 3: Fill in the required details below. Step 4: Press Save Provider No Details To All Payment Methods button. This setup will need to be processed for each treatment location for each staff member. Step 5: In your PPMP Main menu go to Setup > Fees + Charges Setup > Change the Standard Fees + Charges. Step 6: For all your standard charges, select them from the entries list and ensure the Item code + Medicare Code is filled in. To find the correct codes - please refer to the hicaps item numbers in Setup > Staff > Provider Nos > View Hicaps Item Number List. You are now ready to process a claim. Step 3: Enter in the required amount to be processed and press Claim HICAPS. Step 4: Enter the number corresponding with the patient name and press Begin. Step 5: The HICAPS terminal will prompt you to swipe the patients card & display your computers name. Once the process has completed successfully, PPMP® will display & print the claim summary for you & the Patient. Step 6: Enter the payment screen and double click the paying field to pay off the remainder. Step 7: To pay via EFTPOS Payment, enter the amount & select EFTPOS Payment. Step 8: Enter the amount & press Start Transaction. Step 9: Select your terminal & press Choose. Step 10: Complete the transaction on the HICAPS terminal & PPMP will print a receipt. Step 1: In your PPMP Main menu go to Setup > Addresses. Step 2: Press New entry button and enter in all the Doctor information on the right. Step 4: Double click the empty paying field & Press Claim Medicare. Step 5: Fill in the appropriate information. Step 7: Follow the prompts on the screen to complete the transaction & print receipts. Step 6: Press Pay Patient Contribution (EFTPOS). If the Medicare Number is not filled out in the Patient Details, you are prompted to swipe/insert the card. Step 2: In your PPMP Main menu go to Setup > Computer Resource Usage > EFTPOS > Tick Use Tyro & Select Printing Options: EFTPOS Terminal. Step 3: The Tyro installation will now popup - go through the installation prompts. Select an Auto Update time if prompted, this is for Tyro software only. Step 4: Restart your PC and open PPMP. Step 3: Double click in the paying field to enter the full amount and press Tyro Healthpoint. Step 5: The Tyro terminal will prompt you to swipe the patients card, follow the prompts on the screen. Once the process has completed successfully PPMP® will return you to the payment window, you will notice the Tyro claim amount has already been deducted from the total amount owing, you can pay the remaining balance or exit. Step 7: To pay via EFTPOS Payment, enter the amount & select Tyro EFTPOS Payment. Step 9: The Tyro terminal will prompt you to swipe the patients card. Step 10: Complete the transaction on the Tyro terminal & click yes to print a receipt. Step 4: Double click the empty paying field & Press Tyro EasyClaim. First you must have an account with Physitrack - Select PPMP as your Affiliate and enter PPMP20 to receive your 20% discount. Step 1: Email info@ppmp.com.au to activate Physitrack & await a response. Step 2: Once you receive the confirmation email from PPMP - In your PPMP Main menu go to Setup > Computer Resource Usage > Program Links > Tick Activate Physitrack link. Step 3: Restart PPMP & open a client record. Step 4: Select the Exercise Program. Step 5: Press Open Patient In Physitrack. If this is the first time you login, enter your Physitrack login credentials. The patient is now opened in Physitrack. In order to view your PDF documents, you must have a PDF viewer installed and set as the default program on that specific PC. This guide will show you how to install Nitro PDF viewer which enables you to open PDF documents. Step 1: Download and Open this file to install Nitro PDF viewer. Click here to download Nitro PDF viewer (64 bit). Click here to download Nitro PDF viewer (32 bit). Step 2: Place any PDF document on your desktop. Step 3: Right click the PDF document on your desktop and select open with > choose another app. Step 4: Select Nitro Reader 3 and ensure the checkbox Always use this app to open .pdf files is checked. Now you can open PDF files from PPMP Desktop or PPMP Cloud. LanternPay will allow you to process your TAC claims directly via PPMP. IMPORTANT: Please note LanternPay integration is only available with PPMP version or later. Click here to update to v.
Step 1: First signup to www.LanternPay.com to receive your integration login details. Step 5: In your PPMP Main menu, go to Setup > Fees + Charges Setup > Change the Standard Fees + Charges & Make sure all your entries under the TAC payment method have the Item codes & Medicare codes filled in (both fields should have the same code). Step 1: Right click a patient and select treatment charge. Step 2: Select the TAC charge and press accept + pay button. Step 3: Double click the paying field and select the LanternPay button. Step 4: A window will open displaying "The claim has been successfully processed"
Next below tutorial: Submitting an item where the charge is greater than the claim amount. Step 3: Double click the paying field and select Calculate Gap Payment button. Step 4: LanternPay will pay the maximum claim amount, you can now process the remainder via Cash, EFTPOS, etc. There is a report to show LanternPay claims under Reports > Payments Reports > LanternPay Submitted Invoices Report. IMPORTANT: If a claim fails to go through, it is because the Item code & Medicare code is not filled in the charge. To fix this, in the payment screen select the edit entry button and fill in the TAC code in both item code & medicare code fields. Google Integration will synchronize all your PPMP appointments into Google Calendar, when you remove an appointment from PPMP it will also update in Google Calendar. IMPORTANT: We recommend first creating a new google account before proceeding & not using your personal google account. Example: If you have times 10:00AM, 10:15AM, 10:30AM - Then your usual intervals between these times are 15 minutes. Step 2: Login to your google account (via www.google.com) & open the google calendar. 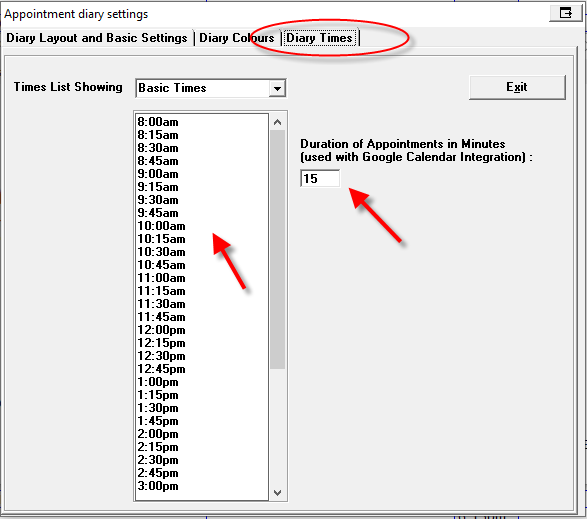 Step 7: Under the Program Links tab, select activate Google Calendar Link then press OK. Step 8: Next go to Setup > Staff. IMPORTANT: A google API confirmation will now popup in your web browser, please first check that it is linking to the correct google account and then press allow. 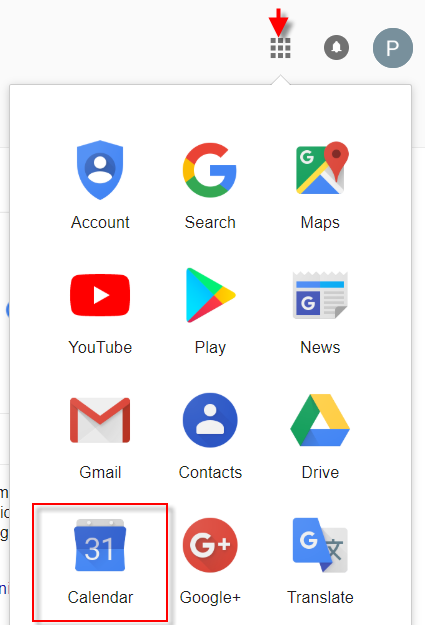 IMPORTANT: After pressing "Rebuild Google Calendar" button, please give the process some time to migrate to the google calendar as this may take a few minutes. Google Calendar is now successfully synced with PPMP. Everytime you remove or add an appointment in PPMP, it will update in Google Calendar. Please select an option from quickfind or the report menu on the left. Find all the patient account changes made within PPMP. Bulk email/sms all or some of my patients a message in one go. List of patients who hasn't been since a date or between two dates. Find a list of all the treatment charges still unpaid. Display a list of all the patients with deposits in their account. Find all the patients episodes that are marked as a bad debt. Check if your patients have rebooked an appointment with appointment details. Full aged debtors report to see which patients are still owing money. Breakdown of profit or loss on stock sold within a given date range.